Alaska Native News Jan 9, 2019. 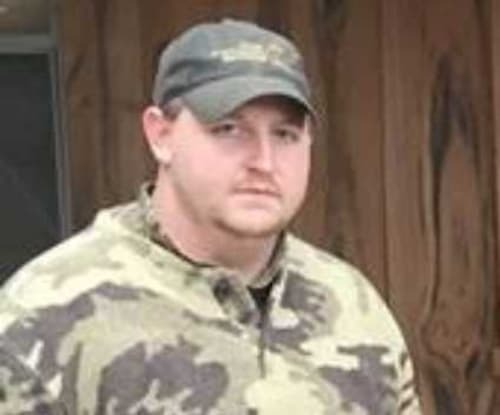 Ex-LSU player Matt Branch was severely injured in an unusual incident in a rural area of Mississippi late last month while out on an annual duck-hunting trip with his buddies, it was reported on Facebook earlier this month. Branch and his hunting partners were loading up in their Ford Ranger to make a short move at 9:40 am after early hunting at Eagle Lake on December 28th when the incident occurred. One of the group’s bird dogs was in the process of being loaded into the bed of the vehicle and as the dog was climbing in, inadvertently stepped on a shotgun that was also in the bed of the truck. The dog stepped on the safety button and simultaneously depressed the trigger, discharging the shotgun. The shotgun blast penetrated through the side of the bed, hitting Branch on the upper inside of his thigh as he was standing to the side of the truck. The blast tore into Branch’s left leg, severing his femoral artery. The group was not aware of the severity of his injuries as he had on waders. The blast knocked Branch to the ground. The group immediately sprang into action and called 911 while driving Branch to the nearest point that an ambulance could be accessed. The former LSU linebacker was transported to the University of Mississippi Medical Center 70 miles to the east of Eagle Lake where he underwent surgery. Branch’s left leg was amputated and his femoral artery repaired. A GoFundMe page has been set up to assist Branch and his family pay for his medical bills. He remains in intensive care and his hospital stay is expected to be prolonged.